I colored the apples (A Stamp in the Hand) with markers. The worm I colored with Inktense pencils and attached him with foam tape. The sentiment is by Stamp Camp. I love it. Made a frame with a stitched die and mounted it onto a green card base. Huch!!! solch ein dicker Wurm will in diese (oder etwa nur einen!!!) Äpfel???!!! Wonderful card...love that sentiment and that worm is adorable. 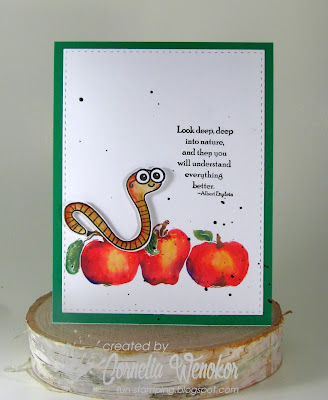 Such a neat card design with wonderful coloring and I love the sentiment you used with it too! What fun! 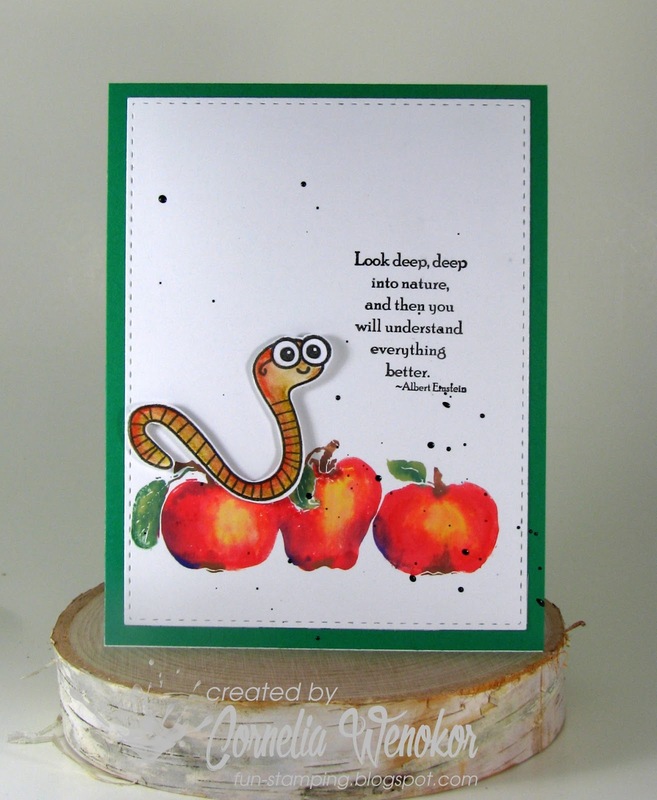 I love the worm against those beautifully coloured apples, and the sentiment is perfect. 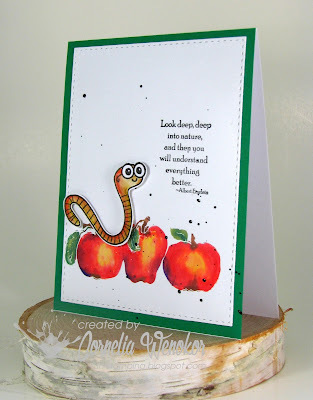 Thanks for sharing your card in my CAS colouring challenge over at The Paper Players this week!